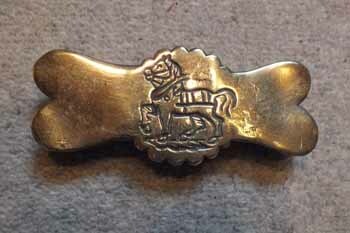 ​An Excellent Cast Royalty 19th c. God Save the King Hame Plate, with a Crown top. 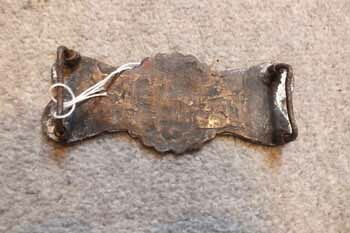 Having good Patina to its reverse. 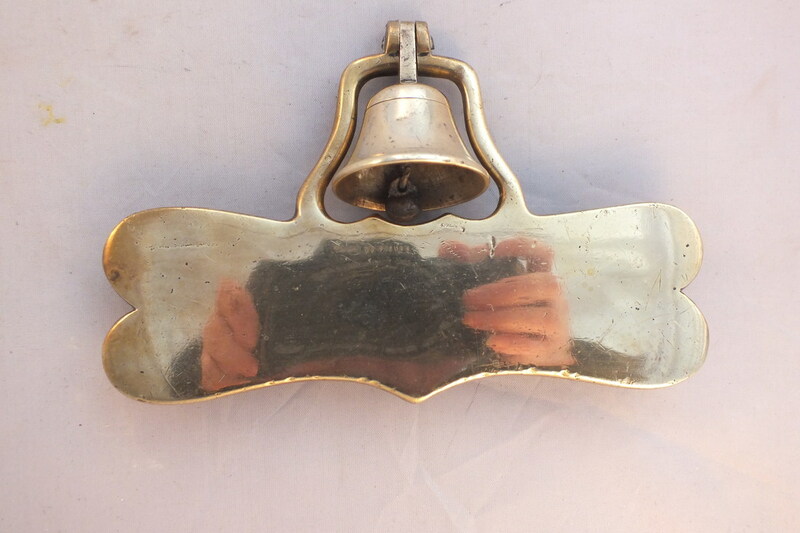 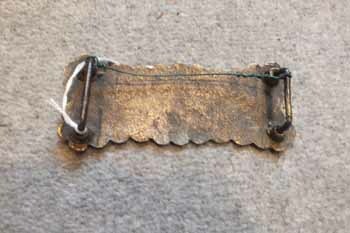 Measures - 6.50" x 3.25"
A Good Cast 19th c. Bell Hame Plate, with its original Clapper. 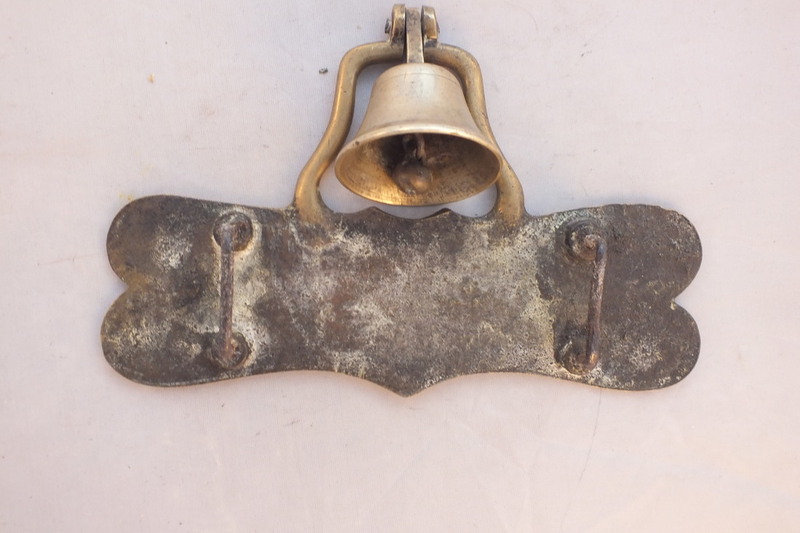 Good Patina to its reverse. 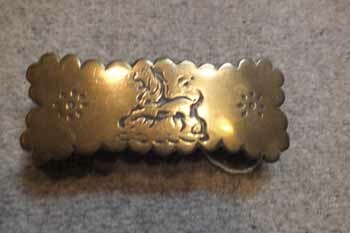 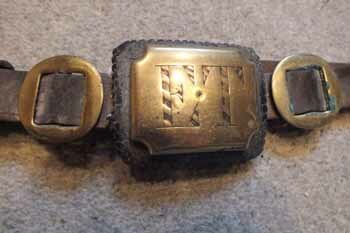 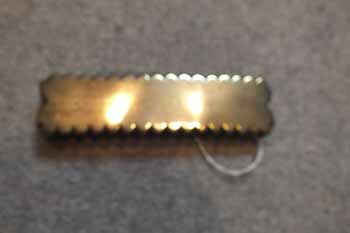 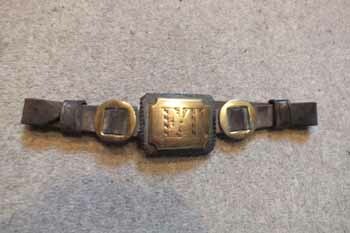 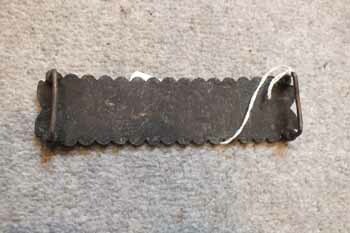 Unusual 19th c. Hame Plate, on its original strap, with a central stud with E T on it.